The New York Stock Exchange (NYSE) is a collection of domestic and foreign securities, including stocks, bonds and other investments traded in a public market for investors to buy and sell. By organizing the securities markets into a central location, the NYSE helps the economy channel money from investors into different areas of the market place to fuel economic growth. As a result, businesses and governments access the money they need in order to finance their projects and grow. The NYSE helps promote economic efficiency by encouraging the transfer of money from low-yield investments, such as savings accounts, into potentially higher yield investment opportunities. The mechanism that encourages this flow of money in the marketplace is the prospect of increasing the returns derived from the value of sums invested in securities listed on the NYSE. Therefore, investor money gives companies listed on the NYSE the resources to fund their growth. On a large scale, this process helps fuel national economic activity. The relationship between a business and the NYSE accomplishes two general objectives: promote corporate governance and raise money. When a company sells stock, it is said to go public, meaning that the company will fall under the ownership of its stock holders. By being a public company, the the company's leadership is held accountable to its shareholders who have a say in what a company does and how it operates. This accountability relationship encourages an improvement in corporate management since shareholders do not want to lose the money invested in the company. In return for selling stock and being accountable to its shareholders, a company receives the money necessary to fund expansion. Similarly, local, state, and federal government agencies need money to fund public works projects and expand services. To raise money without necessarily raising taxes, government agencies may decide to issue bonds which are then sold to investors. The money raised from the bond issue is channeled back to the issuing government agency to use on the project at hand. As with company stocks, the NYSE also facilitates the buying and selling of government bonds in an organized way so government can fulfill its obligations. A key part of funding business and government operations is a willing body of investors. Investors can be individuals, other companies, hedge funds, as well as the wealthy. With the virtually constant need for money to fuel economic growth, individual investors are able to participate in the trading activity of the NYSE. 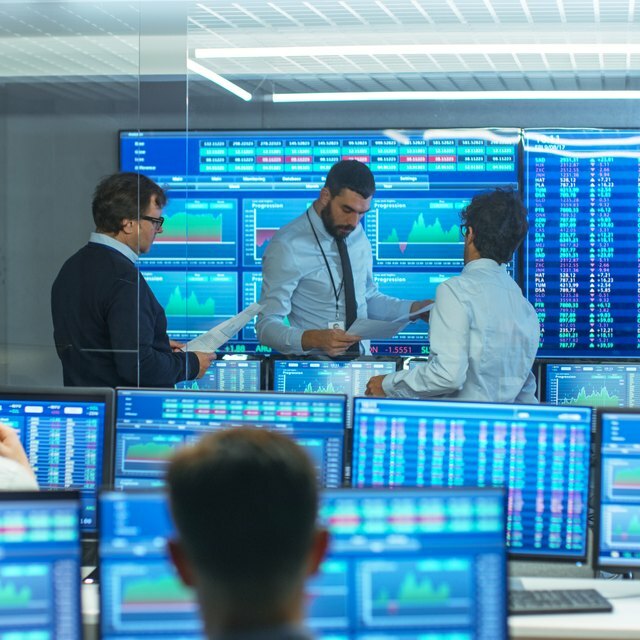 Although the actual trading is only done by special brokers and specialists, investors of all kinds participate in the market activity that takes place on the NYSE. As the largest stock exchange in the world, the NYSE includes companies from the United States and around the world. The combined activity of the collection of U.S. and foreign stocks in the NYSE is illustrated with the New York Stock Exchange Composite index. The NYSE Composite helps gauge a general performance of the economy, investor expectations and market conditions based on the buying and selling activity that takes place in NYSE.